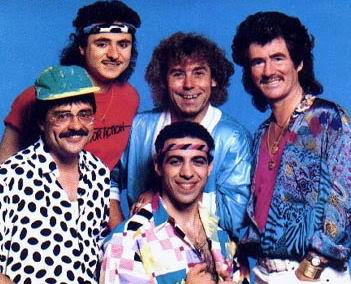 It's a fairly well known story, a bit of an internet phenomenon, really. It's the story of a how a man took one red paperclip and through a series of trades ended up owning a house in a little town called Kipling, Saskatchewan. 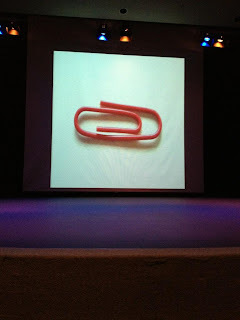 It's an intriguing story, certainly, and it is one I was fortunate enough to hear in person when the Keyano Global Address brought Kyle MacDonald, the "one red paperclip guy" to town. When I heard he was coming I knew I had to be there, and bring the Intrepid Junior Blogger. She and I are both familiar with the story, and last year we launched a similar trading game here with one green paperclip (which fizzled after a few trades due to time constraints and, frankly, a fizzling of interest) . And even in her social studies class last year they did a small trading experiment with friends and family, so she knew the basics, as did I. When my friend Blake asked if I could take his son Nathaniel along (Nathaniel, as you may know, is the young superman behind raising funds for wells in Africa, and now embarking on a new adventure in trading of his own) I said yes. 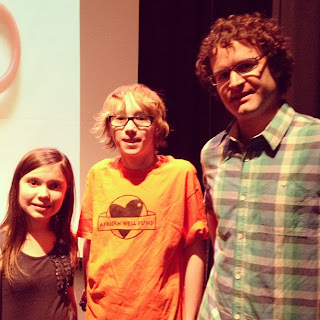 And that is how I ended up in the Keyano Recital Theatre on Friday night with two young, ambitious, focused young people, one on either side of me, ready to hear from Kyle. I was there, I admit, out of more than curiousity about the red paperclip trades. I had a feeling that there was something far more to this story than a simply trading game that went well, and that the person behind this was likely someone I would find intriguing. If you recall I am a fan of passion, vision, and drive, and I figured anyone who had managed to create the phenomenon of one red paperclip probably had all three - and I was right. Kyle told the story of the paperclip, how he had always had "projects" but how one day he conceived of the idea of this trading game. He told too, though, of how he shelved the idea because real life got in the way - the need to find a job and make money and pay rent. And he revealed how one day he told his idea to his father, who didn't say "Are you nuts?" but rather said the words that caught my attention when Kyle spoke them, too. His father asked: "What would you do if you weren't afraid?" Such a simple question, but it was all the catalyst he needed, and soon Kyle was off on his trades - and his adventures. It's a brilliant story of time spent at a backyard BBQ, and with a rock star, and with a movie star who has a slightly disturbing snow globe obsession. It's a story of serendipity, and of surprises along the way. In the end it's the story of a man who took a paperclip and ended up with the deed to a little white house with a little white picket fence in a little town in Saskatchewan. But it's also so very much more, as I could see from the rapt faces of the two young people seated beside me. The story of one red paperclip is a story of possibility. It's the story of following your dreams, and going in the direction you want to go, despite the odds. I am sure not everyone thought Kyle was brilliant when his project began, and I imagine he had detractors. Kyle looked to those who supported him, though, like his girlfriend, and he followed his plans. He had an idea, and he ran with it. He took the first step, and then just took every step after that, too. I watched the faces of the IJB and Nathaniel as they listened to Kyle. They were, undoubtedly, enchanted by an adult who espoused the possible, and not the problems. They are still at an age where they have not yet been beaten down by naysayers, and where they can freely dream and say "why can't we" instead of "we can't". And of course that is why they, and Kyle's story, are perfect for this community. This is the community of possibilities, of those who say "we can do it", and of ideas and dreams. I listened to Kyle, and while I heard the same thing as the young adults with me I suspect it was in a slightly different way. I heard him calling to my own passion and vision and drive, and making me wonder about all the things I would do if I was not afraid. I realized that all of us at some point dream of an idea, and instead of doing it we file it away in our heads like Kyle filed away the paperclip in his wallet. We store it away on a shelf, and we let it sit there in a box while we think about why we cannot do it, or while we get busy with other things. And then I thought about what would happen if we all took those boxes down, dusted them off, opened them up, and revealed the treasures hidden inside. The story of one red paperclip is a rollicking good tale, as are the other tales Kyle tells, like buying out an entire store in one fell swoop, and trying to track down four guys from a photo he found on the Internet. In fact the stories of all his projects are intriguing ones, capturing you quickly and holding you transfixed as he unfolds them - but it is about far more than the stories. It is about more than red paperclips, too. It is about believing in the possibilities. It is about taking the first step, even if you don't know the final destination. 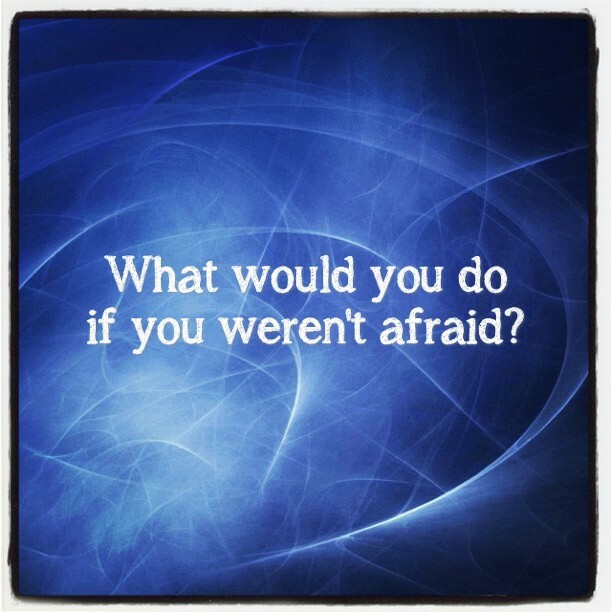 It is about doing what your heart tells you to do - and doing the things you would do if you were not afraid. It is a message that three people in the audience, a writer, an intrepid junior blogger, and a young fundraiser, will likely never forget. 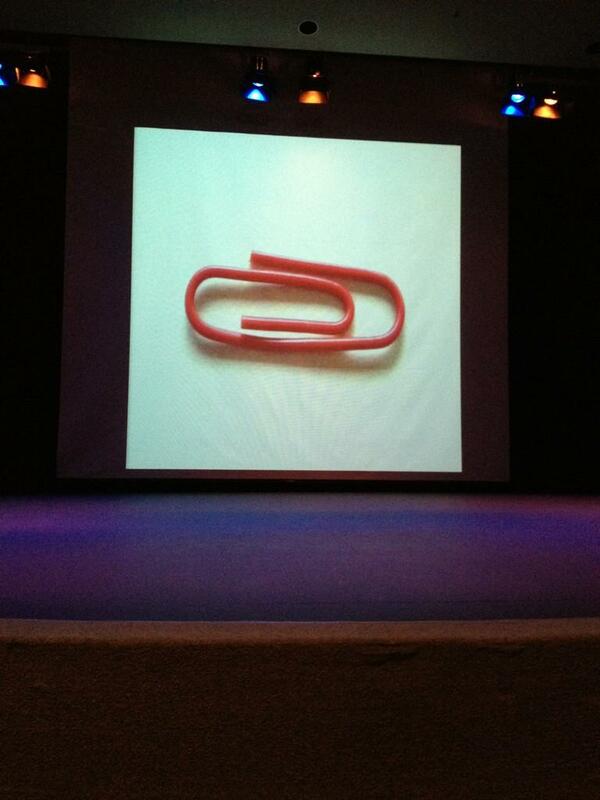 And it all began with one red paperclip, and one man who wasn't afraid. Oh, and maybe you know?